Soon there will be 360 degree photos, videos and 360 interactive VR experiences everywhere. Time to think about how to design them right, in order not to bore and lose your audience. I Finally Tried Virtual Reality and It Brought Me to Tears. This was the headline of a Times article in January 2016. The tears have dried and the constant feeling while skimming through endless 360 degree media and/or experiences is another one. It is yet again the infamous ¯\_(ツ)_/¯ . Facebook has started to roll out 360 photos worldwide and it is a pretty sure bet that they will roll out 360 degree videos that will be produced on your smartphone or another cheap little device attached to it soon. Question is: So what?! We have two eyes attached to the frontside of our head. And we do have a neck that we can turn to the left, to the right and up and down. But we are lazy and we normally just turn it when we have a reason to do so. So in order to produce useful and worthwhile 360 degree content you have to give people a good reason to turn their heads. Whatever medium you choose (photo, video, VR experience) here are some ideas how to immerse, entertain and tie your audience to your content. Quick parenthesis: I am convinced that 360 degree photo and video are not VR but some sort of low hanging fruit to get people used to the concept of 360. If you want to know more about learnings while designing an interactive VR experience right now, just scroll down. People like to be surprised – You should not bore people right from the start. This is actually some basic photo and film advice. Most people film and shoot the world with a medium long shot. They just take their camera and point it at whatever. Do not do that. A good picture is a picture that people look at longer than one second. A good picture is a picture that wants you to explore it. Give us a reason to look closer. A good picture or video is not just nice for the eyes but gives your brain some food for thoughts. People like to explore – If you manage to drag people into your content and give them an actual reason to find things out they will do so. Because they are curious. Find the ten hidden spots on our panoramic view is going to work way better than another panoramic view. We had enough of them. Just a little task, a little quest with a goal turns a boring picture into a playful experience. Can you spot the sniper? Make sure to check out the Thinglink VR editor in order to play around with explorable 360 photos. People like to be guided – Do not confuse your audience. The whole 360 degree thingy is fairly new. People like to find things out, but if they do not get what they want to, they get angry and confused. 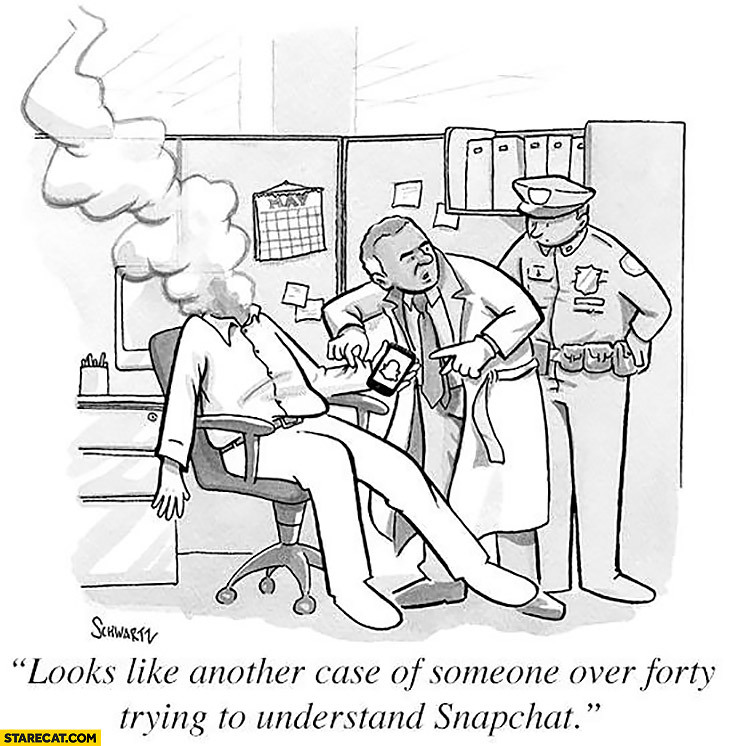 Just talk to someone who is struggeling with Snapchat. Help the user to stay oriented. A little symbol just showing the user in which direction he or she is looking right now helps people not to get lost, confused and disappointed. When new players can not cope with the whole situation in the game Mario Cart a friendly guy called Lakitu is taking characters back on course in case they fall off. People like patterns – Whenever something happens in a video or a game it might just be a coincidence. Oh look, a banana is lying around. Whatever. If things happen twice it might just be another coincidence. There is another banana. Well, fair enough. But when things happen for the third time we clearly do have a pattern here. Come on, there is banans all over. Let´s try them. Yummy. Seems to be a power-up or something. Once we see a pattern we delight in tracing it and seeing it reoccur, writes Raph Koster in the highly recommended book „A theory of fun„. Patterns give us the feeling that we have mastered, learned and understood something. And people do like that. People like feedback – You want to now why millions of people play games like candy crush in the tube? Because this game is really good at giving feedback. Whenever you achieve something in the game you are awarded with a hell lot of audiovisual feedback like sounds, moving objects, etcetera. That is not only easy on the eyes and ears but it obviously goes deeper and feels warm and good like praising words from a mother to her child. We all long for recognition even if it is a simple game. So make sure to give positive and negative feedback in your interactive experience. As a trained game designer and partner at the Berlin based virtual reality studio Vragments i have helped to built several interactive VR experiences. 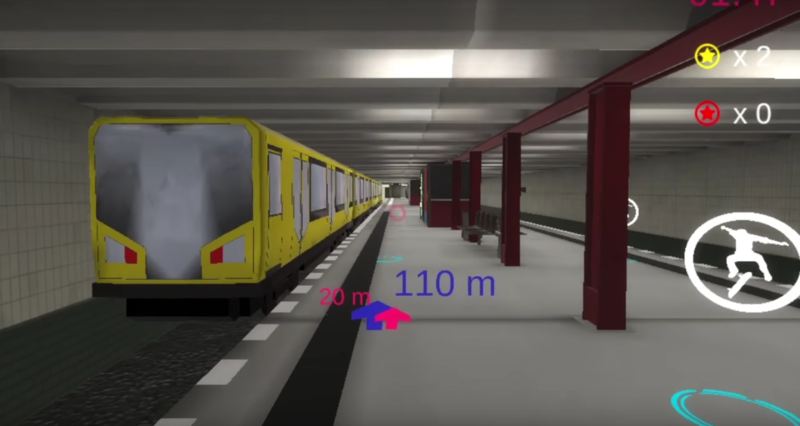 Our latest endeavour is a playable VR-version of the Berlin subway station Stadtmitte in cooperation with Technologiestiftung Berlin and BVG. With “Stadtmitte in VR“, we show users how digital data can enhance daily activities: easily finding your way through the concrete jungle, knowing where to buy metro tickets quickly, meeting your friends at the right metro exit. Innovative technologies can guide you through the city and this project shows in how far VR can be utilized for that. In our VR experience we made sure to provide a playable interactive experience in order not to bore people with a simple 3D re-creation of a subway station. You are a protagonist in a fictional setting with a clear goal. Reality is the worst game ever. So in our experience you can chose to be someone else. We prepared three different scenarios with different characters, different vehicles (skateboard, Segaway and wheelchair) and different quests and a strong goal: to escape. For example: You can play a semi-fictional popstar that just wants to skate around in Germany´s capital when suddenly he is tracked down and hunted by a large mob of teenage girls. So your challenge now is to find a proper escape route in the subway station. On your way you can examine posters of yourself to get karma-points but be aware not to examine to many posters of your ex-girlfriend becasue that drags you down and minimizes your energy-level. You are guided, can explore and get feedback. We implemented a little display that shows you in which direction you need to go and we show you how far away you are. After having tested our scenario this was an important step to better guide people through the experience. You get constant feedback on how far away you are. On your way you can explore different things in different scenarios. You always get visual feedback. You should have a better reason to turn your head. We will present our prototype at the Long Night of the Sciences (#LNdW16) on June, 11th in Berlin. Unfortunately we do not have the chance to use sound there. This is a pity because sound would have been crucial for an even more immersive experience. Just imagine the train coming in or a mob of teenage girls shouting behind you. You would automatically turn your head. We hope to add sound to a next version of the product. Update: Linda pointed me to this video. Watch it.